I still have the first book I ever grew attached to. 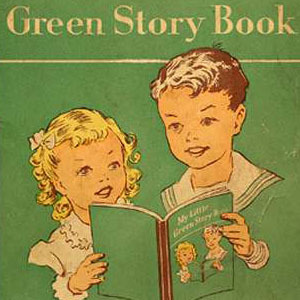 The chapters have headings such as “Tom and Betty and Susan,” “This is Pony,” “A Surprise for Mother,” “Something for Bunny.” But the book opens, simply, with a chapter titled “Father”: a tall man in suit and hat is pictured in late afternoon striding down a suburban street as his joyful children run to greet him. Nothing else happens in these first several pages, but nothing else needs to — for the moment marks, in defiance of fate and dread, the miraculous reconstitution of a family made suddenly, magically whole. I have kept that book for most of my life, and someday I may yet understand it.